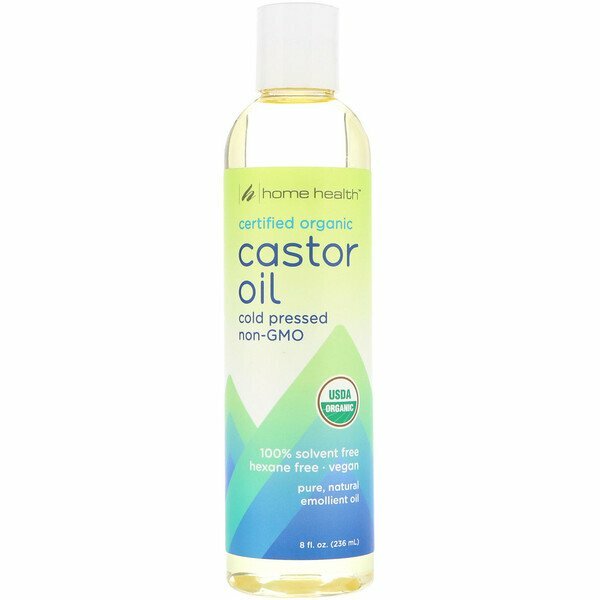 Certified organic castor oil from home health is a natural emollient oil that deeply penetrates the skin to moisturize and condition, leaving it softer and more supple. 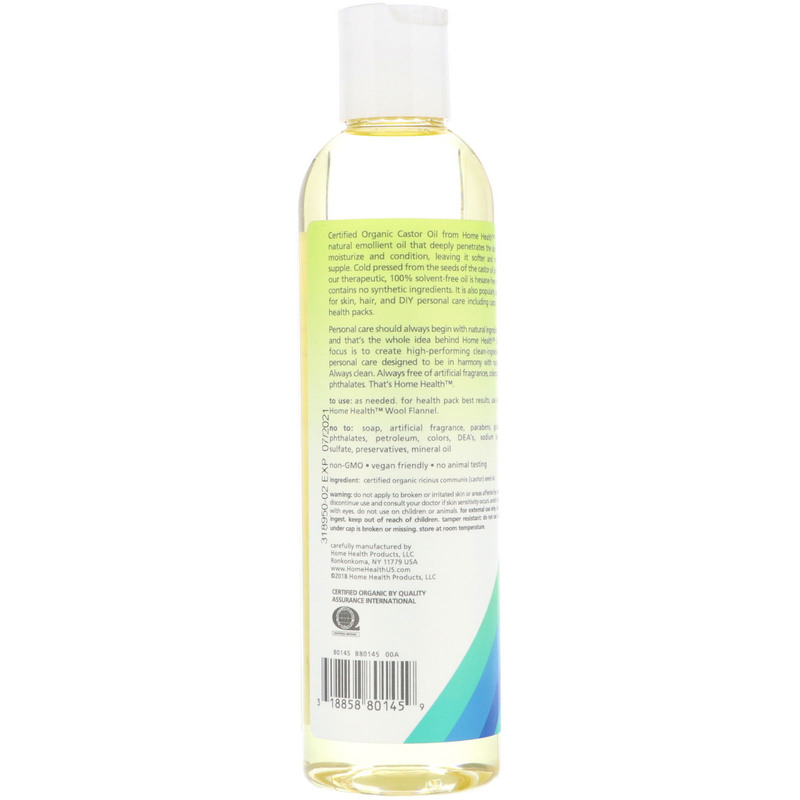 Cold pressed from the seeds of the castor oil plant, our therapeutic, 100% solvent-free oil is hexane-free and contains no synthetic ingredients. It is also popularly used for skin, hair, and DIY personal care including castor oil health packs. Personal care should always begin with natural ingredients, and that's the whole idea behind home health. Our focus is to create high-performing clean-ingredient personal care designed to be in harmony with nature. Always clean. Always free of artificial fragrance, colors and phthalates. That's home health. To use: As needed. For health pack best results, use with home health wool flannel. Certified organic ricinus communis (castor) seed oil. Do not apply to broken or irritated skin or areas affected by rashes. Discontinue use and consult your doctor if skin sensitivity occurs. Avoid contact with eyes. Do not use on children or animal. For external use only. Do not ingest. Keep out of reach of children. Tamper resistant: Do not use if seal under cap is broken or missing. Store at room temperature.